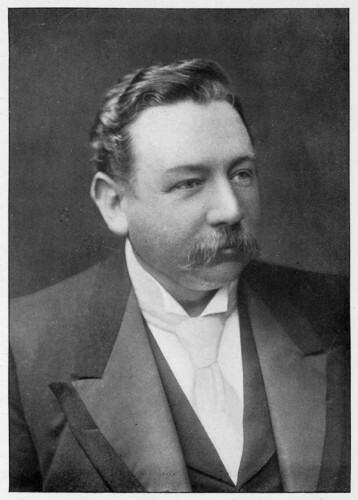 Bio Notes: John Thomson was born at 16 Darnley Terrace, Shawlands on 26 June 1859, the eldest surviving son of the architect Alexander 'Greek' Thomson and his wife Jane Nicholson. He was educated at Langside Academy and Glasgow High School and was articled to his father's firm on 1 April 1875. His father had died in March of that year but the Thomson Trustees still had a controlling interest in the firm which was then headed by Robert Turnbull, his father's partner since 1871. In the following year the Thomson & Turnbull practice was merged with that of David Thomson who had succeeded to Charles Wilson's practice in 1863 and it was to David Thomson that John Thomson owed his early training as a Gothic architect. At the end of his apprenticeship in April 1880 business was at a low ebb because of the collapse of the City of Glasgow Bank and Thomson sought experience elsewhere, but it was not until 1881, probably on Campbell Douglas & Sellars's recommendation, that he found a place with their former assistants Wallace & Flockhart in London. He enrolled first at the South Kensington Schools but on 4 July 1882 he enrolled at the Royal Academy Schools as a probationer, becoming a registered student on 30 December. While in London Thomson also gained experience with Professor Thomas Henry Eagles at the Royal Indian Engineering College at Cooper's Hill and with Samuel Tucker. According to his daughter, the late Mrs Stewart, he also worked for Pearson on the drawings of Truro Cathedral but this appears to have been no more than fee-paid work recruited from the more promising students when Pearson's office was under pressure. While in London Thomson travelled extensively on architectural sketching tours and in March 1885 he was awarded a letter of merit in the Soane Medallion competition. Later in that year he won the RIBA's Silver Medal with a design for 'a municipal mansion'. 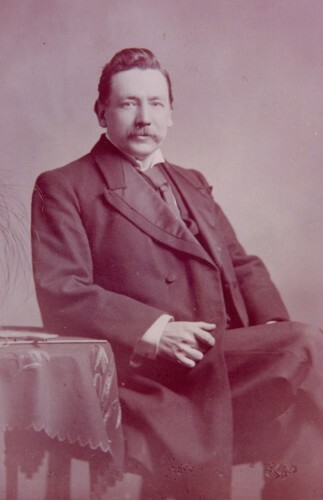 Late in 1885 or early in 1886 Thomson returned to Glasgow where he was refused re-admission to Turnbull's practice, David Thomson having left in 1883. This occasioned his mother some disappointment, but in 1886 he formed a partnership with Robert Douglas Sandilands, five years his senior, who was then an employee of the Glasgow & South Western Railway's engineering department, the practice title being Thomson & Sandilands. It was probably set up with Thomson family money. In that same year, 1889, on 11 April, Thomson married Annie M Muir, daughter of James Muir, patter designer and ward of the Shields family who lived next door to the Thomsons in Moray Place. The ceremony was at the Cockburn Hotel. Although in the first few years Thomson was the lead partner at meetings, Sandilands gradually took over the practice. It was heavily dependent on competitions for business and except for a couple of exceptional houses the private client base remained relatively small and predominantly industrial. But by the time Thomson and Sandilands were admitted FRIBA on 11 June 1906, they had carried out £1m of work since commencing practice in 1886, a very high figure for that date. Thomson's proposers were William Leiper, William Forrest Salmon, James Miller and C J MacLean. By that date Thomson had made a study tour of France. 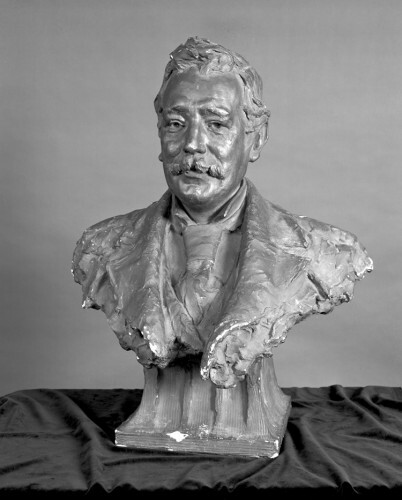 Sandilands died on 10 December 1913. In April of the following year Thomson entered into a partnership with his former pupil Alexander Hood MacLeod, who was at that date his chief assistant. The new partnership of Thomson Sandilands & MacLeod never engaged in large-scale competition work as it had done during Sandilands's lifetime. Initially it was based mainly on church work and private clients, mostly old ones retained from the earlier years of the practice, but from 1928 onwards it had a substantial warehouse clientele in the Glassford Street, Wilson Street and Candleriggs area. Thomson retired following a serious stroke in 1931, his wife having predeceased him much earlier on 13 August 1917. There were two sons and two daughters of the marriage but one of the daughters died in infancy in 1897. The family took long summer holidays in Arran where Thomson's interests were primarily natural history and photography, particularly colour photography after it was introduced, and sketching. He died at 19 Monreith Road on 14 August 1933, leaving estate of £5,970 11s 2d. His second son James had predeceased him as a result of a shooting accident in Rhodesia in May of that year. 1894 Royal Insurance Company Building Glasgow Scotland Competition design submitted - design selected and secured job. 1902 Fisherwood Balloch Dunbartonshire Scotland Unexecuted design?